Yes, they do still make old fashioned gowns for infants! 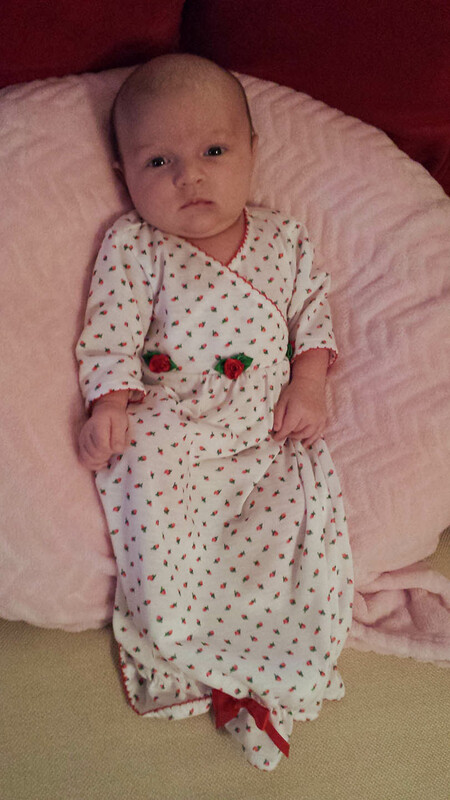 Here's the most adorable little white baby gown with red rosebuds. Adorable red ribbon rosebuds accent this soft knit gown! Matching nightgowns are also available for big sister. See below.